This spring, President Monaco will host his annual year-end celebrations for students, faculty, and staff on all four of our campuses. These picnics are a chance for members of the Tufts community to gather and celebrate the conclusion of a busy academic year. In keeping with tradition, these picnics are zero-waste events. Those who can are encouraged to BYOP – Bring Your Own (reusable) Place-setting (plate, utensils, cup/water bottle). 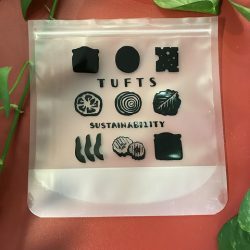 Each event will also include a perks fair with tables with information about some of the quality-of-life benefits available to faculty and staff from Tufts University. Friday, May 11 from 12:00 p.m. - 1:30 p.m.
Wednesday, May 23 from 12:00 p.m. – 1:30 p.m.
Wednesday, June 13 from 12:00 p.m. – 1:30 p.m.
Thursday, June 21 from 12:00 p.m. – 1:30 p.m. These picnics are zero-waste events, meaning that everything provided can be either recyclable or compostable. Those who can are encouraged to BYOP - Bring Your Own (reusable) Place-setting (plate, utensils, cup/water bottle). All attendees who BYOP will be entered into a raffle to win a special grand prize at the Office of Sustainability’s table. A limited number of individual prizes will also be available to attendees who bring their own complete place-setting. So, stop by early and be sure to have all three BYOP items (plate, utensils, cup/water bottle) to receive a prize and enter the raffle. Please do not bring your own disposable dishware or utensils. 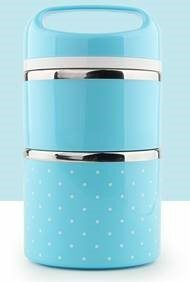 These items interfere with the zero-waste nature of this event, and attendees who bring disposable items will not be eligible to receive prizes.